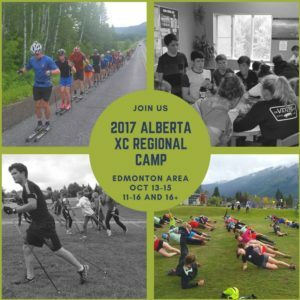 On October 13-14, the Alpine Insurance Alberta World Cup Academy and the Capital Region Training Group (CRTG) are jointly hosting a dryland training camp for young (11 and 24 years old) cross-country skiers from across Central and Northern Alberta. High performance athletes from both these teams will be leading many of the sessions for the younger skiers attending the camp and older regional athletes are invited to join the team athletes for some training sessions for older skiers. And while the Academy and CRTG team athletes are coaching all the regional youth for most sessions at the camp, the team coaches from the Academy and CRTG will be facilitating technical discussions and practical technical sessions on a variety of topics throughout the two camp days. This camp is sanctioned by Cross Country Alberta. For more detailed information, please consult the zone4 registration for the camp.